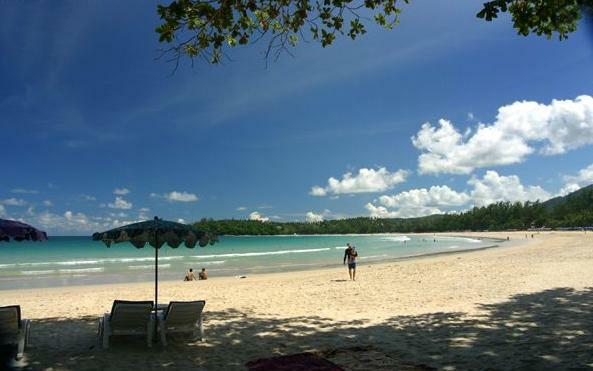 Here are the list of beautiful beaches around Phuket. We start the beach from the North to the South of the Island with brief descriptions to you. This is Phuket’s northernmost white sand beach. The turtle releasing festival takes place here in mid April every year. You should not miss it. 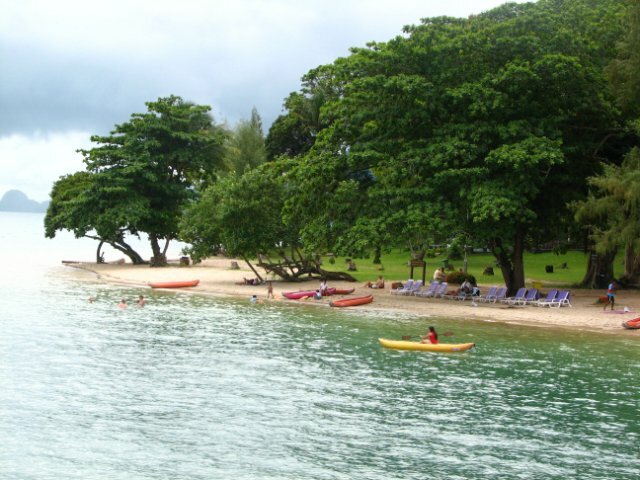 The Nai Yang, together with Mai Khao , forms the longest and most secluded stretch of beach in Phuket. Both together is about 10 km. Nearby is the Sirinath National Park, a protected marine and coastal area. On 13 April every year there is a turtle release festival. Baby turtles are released back to the sea. Throughout November to March turtles always come back here to lay eggs. It is a little piece of paradise. Phuket’s longest beaches is Bang Tao. The Laguna Complex dominates most of the area. There are luxurious resorts and villas along its 4 miles beach front. On the northern tip of the beach, tourists can visit and see local villagers which still make their living by fishing, farming and rubber tapping like like their ancestors. This beach is the location of world class resort named Amanpuri. It has very beatiful location, peaceful atmosphere, and great view over. Standing on top of the hills of Surin beach, you will see great view overlooking the Andaman Sea. It is ideal place for all tourists but only millionaires could afford for this areas. Kamala is well-enclosed bay surrounded by fishing village. It has developed so fast in the past years ,but it still retains a small-town feel. It is one of best recommended place for snorkeling so don’t forget to bring your top rated masks for snorkeling that cover the whole face for the best experience. Patong Beach, the most famous beach of Phuket, is the largest concentration of tourists and the best ideal place for who love party and play. There are chic hotels, restaurants, shops and night clubs lined up along its 4 km. seafront. Some people calls it as Pattaya in Phuket. 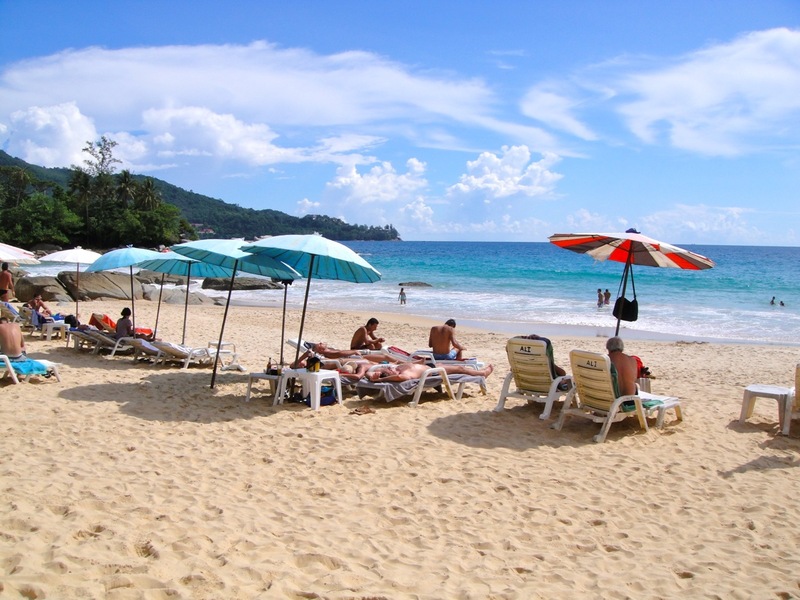 Karon beach is next to Patong. It has long stretch of white sand and less crowded seashore. It is good destination for tourists who look for good combination of party and pleasure. 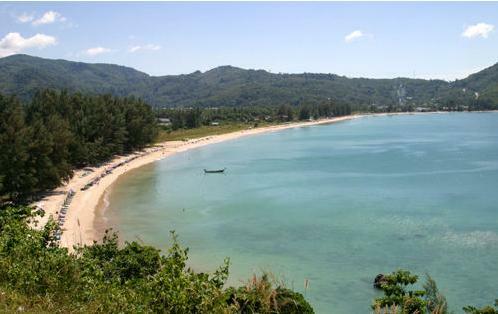 Kata beach is split in two with Kata Noi to the south and the much longer Kata Yai to the north. Kata Yai is the place of Club Med, and Kata Noi is the place for many five stars hotels. Kata has beautiful scenary with ite crystal clear water. It is the best place for who look for quiet place near the downtown. Most of its beachfront land occupied by a temple, but its soft sands and clear water make Nai Harn a great place for swimming, snorkeling and sunbathing. You can find some cheap backpacker huts here and some reasonable resorts. First “discovered” by King Rama VII in the 1920s, Rawai is Phuket’s longest-established beach resort. At its north end, the sea-gypsy village still hasn’t changed much over the years. The beach is lined with open-air seafood stalls and restaurants for casual dining. Visitors can take boat trips to Hae Island (Coral Island), Bon Island, and Lone Island from Rawai. The Cape Panwa, south of the busy Phuket Town, remains a nice peaceful place. Its lush hills, sandy coves, mangroves and tidal flats make it a good destination for exploring away from the crowds. By walking down from the road of hill toip of Patong, you will explore this hidden diamond beach. Laem Singh is a beautiful small beach which has no bungalows and hotels. Here you will see only a few small restaurants and ecological accommodation like huts. 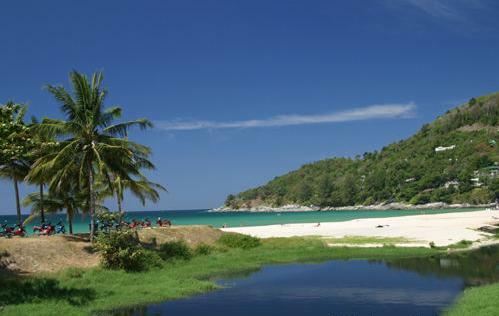 Situated on the headland south of Patong, Emerald Beach is the perfect place for sun lovers. Along its 500 meter, there is a long line of northern-facing sunbeds. It is stunningly beautiful and is safe for swimming all year. You can have a great view right across the Patong Bay from here. This is an isolated private beach with white sand and small open restaurants. Its coral reefs are the best on the island. Bring your mask and fins. You should come here by taking long-tail boat. Ya Nui is in the shadow of two of Phuket’s nicest viewpoints; Phrom Thep and the viewpoint featuring large white windmill. It’s a charming little place featuring good snorkeling, kayaking and fishing. It is a home to a large shrimp farm but very attractive and virtually deserted with a great view out to Chalong Bay and Lone Island. 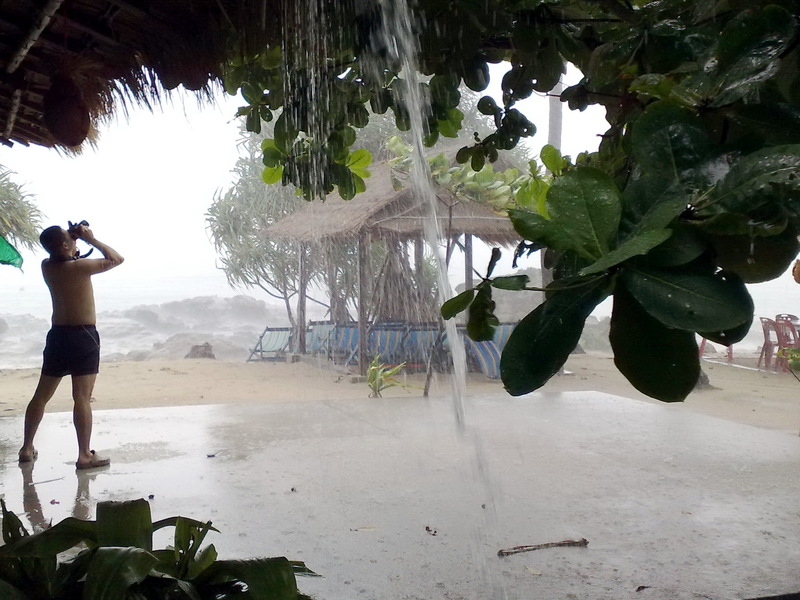 Phuket’s location is in tropical zone and so it has only two seasons: summer and rainy. Surely, you will not be able to enjoy the main enjoyable activities like swim, snorkel, dive, Jet Ski and so on. But, please do not feel upset if that happens, Phuket still has so many interesting activities for you. If you are already at spa resort, you might feel very fine with the unexpected rain. However, if you are not in the spa hotels or resorts, you can find very wonderful ones easily. There are good spa shops in many beaches mainly Patong, Kata, Karon, Pansea, Chalong, Rawai and Bang Tao. The spa shops offers massage, facial treatment, body scrubs, and other nice treatment. For traditional massage, it costs only from 300 THB or around 10 USD. Ask your hotel receptionists, I am sure they are oriented with information about the spa shops to recommend you. Have you ever watched movie ‘Ong Bak’? Now, it is time to experience real fighting art of Thailand. Please check our webpage of Thai Boxing for details. This is very exciting activity for a rainy day. You may already know that Thailand is regarded as ‘Kitchen of the World’. Now, you already have time to learn how to cook your favorite and famous Thai dishes such as Tom Yum Kung (peeled shrimp in sour and spicy soup), Pad Thai (fried noodle with eggs and vegetables), Kheaw Wan Kai (chicken in green curry) etc. Firstly, ask you hotel whether it provides this cooking class or not. If not, you just search in google, you will find list of them. The cooking school will ask you which dish you would like to learn and it will prepare all ingredients with Thai teacher who can speak English to you. Some of them also provides cooking certificate to you. I wish you very happy with this activity. Our website has some Thai recommeded dishes for your cooking class. Thailand does OEM for many famous cloth brands; check them out for quality with better price at the department stores: Jung Ceylon, Central Shopping Mall, and Outlet on bypass road. However, if you don’t love clothing, you also can enjoy with looking at souvenirs, antiques, cheap advices of computer and mobile, and doing activities like bowling and watching movies. Doctors and dentists in Thailand are high qualified and professional. There are many tours that bring travelers to Thailand for just using medical services especially for doing surgery. Medical services in Thailand are safe with high quality and highly cheaper price. Go to check your health and teeth at international hospital in Phuket such as Bangkok Hospital, Mission Hospital. There are various services from health checkup, teeth cleaning, laser skin treatment for you. Wow there is so many choices of cuisine to choose from and if you love food, then you will love Phuket. There are restaurants, 5 star restaurants, eateries, side stalls and even your humble cart cook to get a scrumptious feed to suit every pellet serving a huge selection of Western, International and Asian cuisine. But for me l go to Thailand for Thai food and l have been a little daring with my snacks this trip trying some of the cuisine of a humble Thai lady serving freshly cooked chicken skewers of her cart near my resort (delicious) and the price 20 baht each. 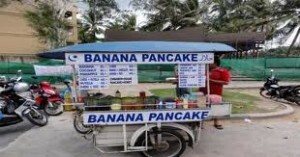 But my Favourite would have to be a banana pancake made fresh in front of you with honey on top a lovely light snack for the afternoon price 40 baht as you can see you can snack on a budget if you desire. While Thai food is renowned world-wide for its wonderful flavours and fresh ingredients, Phuket is especially famous for its seafood, and you don’t have to empty your bank account to enjoy the most scrumptious of dishes. My favourite Seafood place to go is like a seafood market in a way but it’s a row of 10 seafood restaurants side by side with all fresh or live ingredients including, crayfish, mud crab and the biggest tiger prawns. So just frolic between them and see which one can give you the best deal or service, l don’t think you will be disappointed. And if they don’t have your favourite drink just BYO or go across the road into seven eleven and buy it, they won’t charge you corkage like back at home. Some tips l have picked up along the way when choosing food, l do have a sensitive stomach so l always go with these tips personally, if eating of the carts make Shaw it is cooked and cooked in front of you, l personally keep away from salads because they are washed in water and when served lce make shaw it has the little holes in it that means the ice is made with drinking water and always drink water out of a freshly opened bottle of drinking water very cheap around 7 baht in Seven Eleven. And another biggy clean your teeth and rinse your mouth in bottled drinking water. Phuket is the largest and most popular island in Thailand . 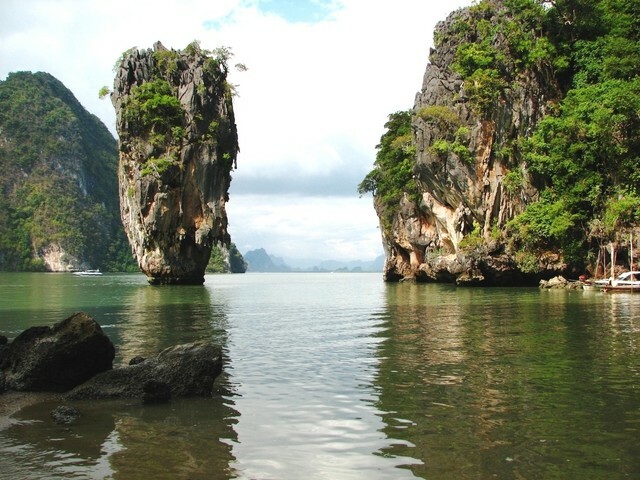 48 km long and 21 km wide, situated in south Thailand , on the west cost of Thailand , in the Andaman sea. 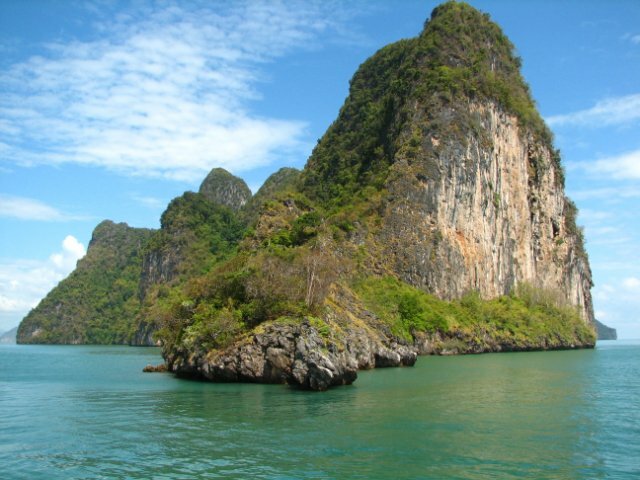 The island is connected to Thailand with a bridge, and therefore you can go from Bangkok to phuket also by bus or by car, but most tourists prefer to reach phuket by flight (about 1.5 hours from Bangkok and 2 hours in direct flight from chiang mai). Phuket district is full of beautiful scenery. The island contains mountains and forests as well as beautiful white sand beaches, and turquoise water. 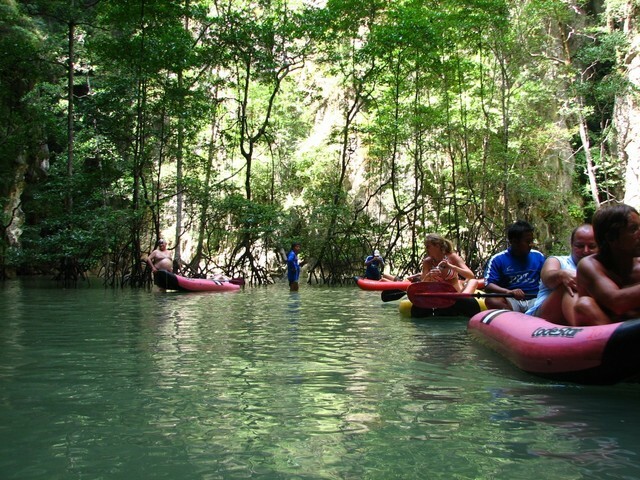 Phuket has a wide range of tours and activities to offer such as: rafting, atv in phuket forests, cable slide in the forest, diving, speed boat to the surrounding islands, cruise to to phang nga area where you can see the huge lime stone rocks coming out of the water, view points over phuket beaches, and of course night life. Patong beach: suitable for singles. Patong beach has the busiest night life: parties, disco, pubs, restaurants, etc. which are mostly concentrated around the famous (some say infamous) bangla road. There are many hotels in Patong Beach, as well as guest houses suitable for backpackers. Karon beach: this is a more quite beach than patong. More suitable for families and couples, and less for singles. However, in this beach you can also enjoy restaurants and pubs. Most of the beach is occupied with Hilton hotel and tavorn palm beach resort. a bit more to the north, there’s the Aroona Plaza which houses some good restaurants and cafes, a few pubs and a hotel. Kata beach: a bit south of karon beach. Attracts mainly families especially because of its white beaches, clear water, and palm trees. U may also find some good restaurants there, but no night life. There are other beautiful beaches which are worth visiting even for few hours like: bang tao, surin, pansea, lame singh, emerald beach, paradise beach, nai harn, cape panwa and more.